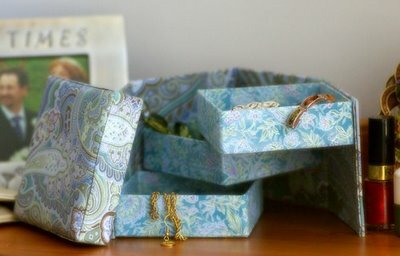 We released a new range of Box Making Kits at the Quilts UK, Malvern Show and these are now available on the website. Currently there are four different boxes to make as well as two sizes of ring binder. The kits come with instructions, excellent thick card and extras such as ticking, brass corners and the ring binders, for example. The fabric is not included but this means that you can choose from our extensive collections to make a truly unique piece. 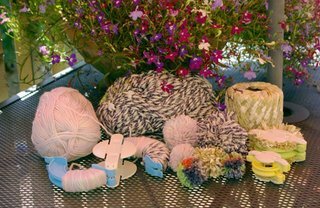 We have included a number of fabrics on the Box Making page which we think go well with the kits. Also on the page is a book binding glue, although any craft glue can be used, we have found this to be very effective and to work well with kits. Shown above is the 1001 Treasure Box. We have a number of new fabrics in our Babies and Children section, including two new Paddington Bear coordinates. I note with interest that Paddington Bear is in the news with the release of the latest volume Paddington Bear: Here and Now (review). 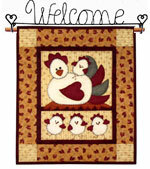 There are also new Humpty Dumpty fabrics and some very cute Teddy Bears. We also have available a quilt kit featuring a Very Hungry Caterpillar, the star of the hit childrens book by Eric Carle. 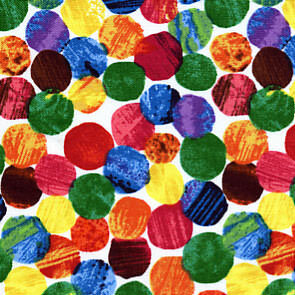 For older children we have some new fabrics featuring Dinosaurs, Wizards and Princesses. In our Fabric Palettes Catalogue we included some advice on prewashing your patchwork fabrics. I have now put this up on the website and I have included the details below for your information.